Where organised campsites aren’t available, wild camping can be a great way of exploring remote parts of Scotland’s stunning countryside, getting close to nature and responsibly enjoying the tranquillity of some of the wildest places in the UK. As part of Scotland’s access legislation, the Land Reform (Scotland) Act 2003, you are allowed to camp on most unenclosed land. But with this right of wild camping in Scotland comes responsibilities and it’s vital that campers leave these wild places unblemished by their visit and protect them for future visitors and campers. In order to camp safely and responsibly, make sure you read the which provides guidelines for accessing the countryside and choosing appropriate campsites. 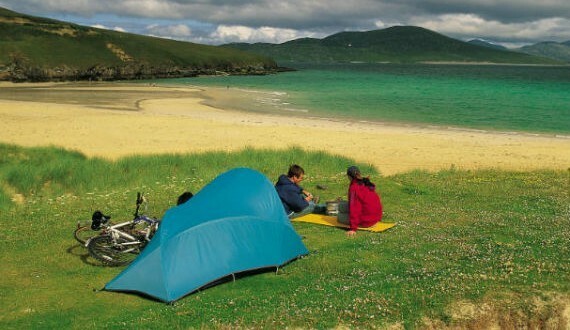 Wild campers should apply the good practice ‘leave-no-trace’ guidelines as detailed on website. If in doubt, ask the landowner. Their advice might help you find a better camping spot. Alternatively, you can also enjoy Scotland’s breathtaking beauty without damaging the environment by camping at caravan parks and takingfull advantage of all their facilities.